Why Get On The First Page? Despite the fact that Social Media is more and more widespread, Google is still the biggest source of traffic. People search Google an unbelievable 3.5 billion times per day. 66 percent of all buyers search before making a purchase decision. In today’s world whenever someone faces a dilemma of making any decision or looking for something, ‘Google It’ is the most commonly used phrase by almost everyone, as it’s an answer to all their questions. Search Engine Optimization is all the actions you can take to increase your website’s ranking. You are competing against a lot of other websites. Your awesome content will remain invisible (no matter how valuable it is) if you do not utilize the basics of SEO. The game today is earning Google’s trust. Proving yourself over time is the key. I recommend that you watch this video where a Google employee explains what SEO actions should be done on your website. The Google Panda and Penguin are algorithms used by the search results for ranking sites. These algorithms will impose sanctions and penalize sites that fail to follow their guidelines. Of course there are many more bigger and smaller updates. Many people don’t realize that that getting on the first page of the search engines starts a lot earlier. Web host internet connectivity. Coding. Plugins. Why? Do you realize that your site’s loading speed directly influences your ranking? Go to Pingdom and test your site. See how fast it loads in the US. How about Europe? People don’t want to wait a lot for sites to load. See if you have a responsive theme. Google will penalize any website that is not mobile friendly. Additionally, all hosts have downtime and at the beginning you probably won’t be able to afford cloud hosting. First of all, you need to install an SSL the moment you start your site. Later on it will be a lot more difficult to switch over. Get a host that supports automatic domain validation SSL with the green padlock. Spammers don’t take the effort and even many honest website owners have trouble confronting this subject. Doing so will increase Google’s trust in you. Install WP Supercache plugin. You will see an instant improvement in site speed. Set up CDN. Cloudflare is included in many cPanel webhosts. I tried the free version of Cloudflare, but it cased SSL problems and I stopped using it. It was surprising to me that the #1 ranking factor is not an on-page or off-page factor. I couldn’t believe my eyes when I saw it. Direct website visits are when someone types in a keyword, or they click from an e-mail or an e-book. Not from Search or another website. It is considered by google as a sign of authority. The next category is user experience factors – time on site, pages per session and bounce rate. They indicate relevancy for the searchers. Then come the backlink factors. A strong backlink portfolio is crucial for website rankings. All the metrics of the backlink portfolio are interconnected and a blind manipulation of only one of them will not increase your rankings, unless you also work on the other metrics. Focus on your natural backlink profile, and try various link-building strategies. user’s query. However, the results of their research indicate that pages that rank higher have longer content on average. Long-tail search queries return pages with more content on average than short heads – almost 20% more. You can see that if you have an SSL certificate, that is still high on the list, much higher than the different keyword factors. This is a point where many websites could gain more rank. Technical difficulties can scare people away from implementing it. The majority of domains for the high-volume keywords however do have HTTPS. Then come all the on-page keyword factors. The presence of a video didn’t show a significant influence on page rankings, so video itself is not going to solve everything. It will. however, increases the time spent on the site. Google now uses artificial intelligence to sort the search results. Earlier Google search was 100 percent human coded. Not any more. Depending on the keyword, the program itself will increase or decrease the importance of backlinks, content freshness, content length, domain authority, etc. Then, it looks at how searchers interact with the new search results. If users like the new algorithm better, it stays. If not, it goes back the old algorithm. User experience signals are used for doing this. In other words, searchers will be shown a set of search results. If lots of people like one particular page in the results, that page will be given a rankings boost. And if they hated it? That page will be dropped and replaced with a different page. And the next time someone searches for that keyword (or a similar term), the performance of the new page will be tested. Also, the algorithm does more than simple simple keyword-matching. It turns your search term into concepts… and tries to find pages that cover that concept. This is why targeting individual keywords doesn’t work any more and you need to target searcher intent. You search for a phrase in Google and you click on the first result. Unfortunately, it is full of filler content. So you hit your back button and check out the 2nd result. This one isn’t much better. This back-and-forth is called “Pogo-sticking”. And it’s something that Google pays a lot of attention to. So you hit your browser’s back button yet again and check result #3. This result is EXACTLY what you’re looking for. So instead of hitting “back”, you spend 5 minutes reading through the page. 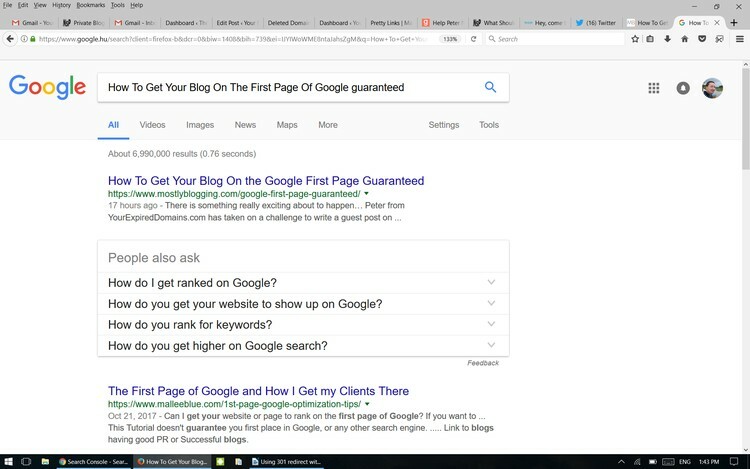 If people leave a page after a few seconds to click on a different search result, that tells Google that the page is horrible. And if people stop going back and forth at a specific page, Google gives that page a boost. Creating high quality content starts with good keyword research. This task will help you pinpoint the most ideal keyword groups for your content writing and optimization efforts. The shorter the keywords, the harder it will be for you to rank. Especially if your site is still new. It is advisable to target long-tail keywords as they are less competitive and far easier to rank. With the machine learning algorithm, Google can now understand the INTENT behind a keyword. This influences your keyword research process. Years ago you would create content for every single keyword. Not any more. For example, you’d create one page optimized for “best domain name finder tool”. And another optimized for “best tool for domain name search”. The old algorithm would rank each of them separately. Now it understands that these terms are basically the same thing. So they show nearly identical search results. Get ideas from the Google keyword tool. As you type the keyword in Google, you will notice a drop-down box with some suggestions. Write down the ones that you find relevant to your content. Choose at least 3 to 5 of the most suitable keywords. In the Adwords tool, there is a column called competition. Each keyword is categorized as low, medium or high competition. Ignore that column because that is for Google ads and not search competition. It should be a keyword that you can compete for on the SERPs. Look at the top ten websites in the search results and see if there are non-competitive listings, such as low-DA sites, YouTube videos, Quora articles, or even actual garbage content that doesn’t make sense when you try to read it. Search volume doesn’t matter at this stage. I usually use searches with 1-100 volume. When your site gets older, it will rank for higher search volume keywords. At this point you are trying to create multiple posts with low search volume. When you have completed your analysis, choose a primary long tail keyword that you will use on your content. For a more complete guide, read my blog keyword research post for 2018. Want to go for sure and not spend all the time this requires? Human Proof Designs keyword research can help you. You get a list of 200-1,000 keywords for your niche, depending on its size. They also give you the list of the top 100 Amazon products in that niche, saving you hours of manual research. They also use SemRush to research the keyword reports for 3-5 competitor sites in the niche. A Semrush subscription would cost you $69.95 per month. The other alternative is SEO Cockpit. 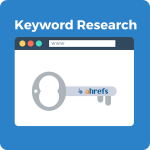 It costs $40 for a 1-month subscription, and it is one of the deapest keyword research tools on the market. LSI (Latent Semantic Indexing) keywords are words and phrases related to your content’s main topic. For example, if I am writing about sales funnels, LSI keywords could be phrases like “conversion”, “email sequence”, “ClickFunnels”. When you sprinkle these LSI keywords into your post, Google will know that your content is comprehensive. If it is an article or blog post, it should contain a minimum of 1,000 words but a 2-2,500-word post is recommended. If you publish a 500-word post, later you will need to go back to update it. However, optimizing your page goes further than this. As you saw earlier, organic CTR is a key ranking signal. Therefore optimizing your content to get on the first page also includes getting people to click on it in the search results. Your title and meta description directly influences your position in search! For example, emotional titles get more clicks. Numbers in your title and certain “power words” also improve your CTR. Meta description tags don’t directly help with SEO anymore. However, an optimized description will significantly increase your CTR and therefore influence your ranking. Just like with a title tag, you want your description tag also to contain emotion. In your description you basically need to sell why people should click on your post. Include your target keyword. Google will make it bold, which can help your result stand out. You can rank pages, using the above method, with appropriate long-tail keywords without links, even on brand new sites. Just do a quick math, if you write 50 pages of content using the above guidelines, and each one gets 20 visits per month, that is 1,000 visitors. The strategy will not work every single time, because competition cannot always be judged easily. After people clicked on your content, you need to show Google that your result makes users happy. Obviously, the longer someone spends on your page, the better. If someone leaves your page after five seconds, that means your page is horrible. Search results get shuffled around based on this signal. But how do you optimize for this? When someone clicks on your site, they want their question answered NOW. They don’t want to scroll down to read your content. That’s why you should remove anything that pushes your content below the fold. Instead, you want the first sentence of your content seen. Use short intros that get people to read on. Your intro is where 90% of your readers decide to stay… or go. When someone searches for something in Google, they already know about that topic. So there’s no need for a huge intro. In order to rank a page, you need long content. Over 2,000 words in most cases. However it is difficult if those 2,000 words are presented as a giant wall of text. Use bullet points, numbered lists, sub-headings to break it up. Try to put a sub-header for every 200 words of content. Avoid boring sub-headers. Instead, put emotions into your sub-headers, too. Make them interesting. This way your pages are well organized and people will want to spend more time on your site. Include some images and videos. If the video is 4 minutes, people will spend 4 minutes on your site, and Google will like you more. Use appropriate videos from YouTube, you don’t need to create your own. Put your videos to the top of the post. If you have an e-commerce website, which means thin content, include a blog with longer, keyword targeted articles. This is the fastest, most powerful way to rank. If someone knows your brand, they’re more likely to click on your site in the search results. In fact, brand awareness can increase CTR by up to 342%! If hundreds of people were typing “FunnelXpert” into search, that would give Google a signal that this site is powerful and it would get better search placement. You want people to know about your brand even BEFORE they search in Google. Moving your rankings up on search results for more competitive keywords, however, require quality links and relevancy. 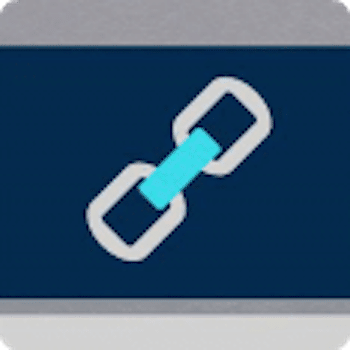 Link building is very important, and your site will not progress in rank without links, as it is one of the main ranking factors. 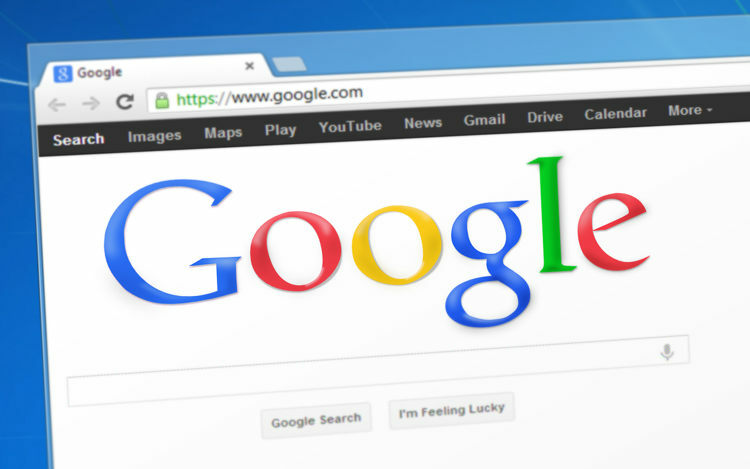 PBNs – While everyone needs to make their own decision on this, be aware that Google is hunting them down and your competitors will report you. At the same time they are the most powerful way of link building. Quality of links is more important than quantity. High DA sites are the best. Try to acquire links naturally, even if it takes time. Build your links consistently and organically, which means you should schedule your link building efforts and follow it by heart. Do not use link farms or low quality directories. Do not use any automated tools. Dom Wells at Human Proof Designs builds Amazon Affiliate niche sites for sale. He is very successful at it. 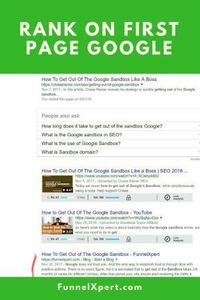 He has gone through all the link building information and combined it with his own proven strategy to create this video course. Everything from basic link building, outsourcing, and PBNs. The link building video course (check it out) is broken up into two modules. Module 1 has seven videos and Module 2 has eight videos. Each video is between about 15 – 40 minutes long to keep the lessons manageable. The course is perfectly priced at $7, which is a no-brainer for someone who has no clue about link building. Make sure that your users have the best possible experience on your site. See what other websites are doing and do the same. These days it’s just as much about authority building as ranking for keywords. Don’t concentrate on link building and individual keywords. It’s keyword groups. Figure out the user search intent behind the keyword groups and what user experience they expect, then deliver it. Previously some people were trying to link out as little as possible to “save link juice”. Outbound links to niche authority sites help to make your site more relevant and it will rank better. Look in your Google Search Console and optimize the pages and keywords you are already ranking for. Update those posts, make the articles longer, more engaging, etc. Increase click-through rate by optimizing title and description. Very important: Your products need to be keyword targeted and cool enough to go viral. Share everything on Facebook, Twitter, Pinterest, Google+. You need visitors, social signals, social engagement. One should make sure that his website is fairly easy to navigate. The website should be well structured so that customer goes to the page he wants, finds what he is looking for and can smoothly navigate on your website. Cross links to your own site with appropriate anchor text – it will be more easy to rank the other page this way. Add alt text to your images. See Wikipedia as an example of a highly authoritative site, it has a huge amount of internal links. Good news: if a post you wrote earlier is not good enough, you can always go back and re-optimize it, then resubmit it to Google. You need to know about the sandbox. It usually takes a few months until your site starts getting Google traffic. So how can we convince Google that our site is worth ranking? a) By ensuring that the visitors don’t go back to the SERPs for the same search term! b) By encouraging people to return to your page for the same search term more than once! c) By targeting related search terms about the same/similar topics and doing (1) and (2) above for those terms and the same searchers! d) Give a reason to your visitors to visit more than one page, thereby decreasing the bounce rate. Understand what people want, give them what they need AND what they want, and then exceed those two things by giving them extras. Those extras could include related content, additional insights, expanding their knowledge to related items etc. etc. etc. What if they landed on a page that showed them exactly how to do it, how not to do it, what to avoid, what tools they would need … and then linked to where to get the tools/parts, and had a video of doing it, and had the PDF manual, with detailed diagrams for download? The searcher stays on site for ages and doesn’t go back to the SERPs. Better yet, the next time they do an instructional search, which site are they likely to click? This is an opportunity that many people forget about. If you use the above long-tail strategy on an established website with higher DA, this will create miracles. The following example is Mostly Blogging, owned by Janice Wald, and has a DA of 45. The question is, should you post on your site or should you post on other sites? But an established high authority site will not only rank your post, but it will also publicize it through its own promotion channels, giving you greater visibility. This concept can be taken to an extreme. Imagine posting your own article on a high authority site with your own affiliate links and getting it ranked in Google. Imagine that site also putting your post to its home page for a couple of days every month and putting it to its sidebar, header banner, and also advertising it throughout its 1,000 partner blogs? I actually ran into such a website and I want you to check it out for yourself. Social media can help you speed up your ranking. If you drive traffic from Facebook, for example, and those visitors spend a lot of time on your post, Google will see this through Analytics and your site will rank better. Getting shares and comments on your website will also result in increased rankings. Ensure you have social media shared buttons on your site. To monitor your results use Google Analytics and Google Search Console. Monitor the keywords that show up in your account. You can also use those keywords to write new posts, or update the ones that are ranking in the 20-40 range to increase their ranking. 1st Page on Google = Hard work! It is possible to get your website content on the 1st page on Google, but it takes a lot of hard work to get there. The elements we spoke about can definitely help a website rank higher and they even work for a brand new website. I really would like to get traffic by getting onto the first page of Google and this post is really helpful. Thanks for giving all this information for free! I always thought that getting to the first page was incredibly difficult. You changed my idea. I will definitely try out your strategy. I would really love to get my law website onto the first page of Google so that I can get more clients to my practice. I will definitely try your technique, thanks very much for everything! Greetings. You mentioned about the CDN cloudflare. Their captcha gives a bitter experience to the user. No doubt, it makes some users taking decision to switch over. For example, from your email I have clicked through the link to this post given there. To be frank i was little annoyed by the CDN captcha and was in little dilemma to switch over. I hope you understand. I express here, because it may be in someway helpful to you. Hey, thanks for writing. I don’t use CDN any more, simply because they are too expensive. I use CleanTalk for spam protection and it doesn’t give a captcha every time, only when it can’t decide if the visitor is a bot. I don’t know if you realize, I get 4 times more spam requests, comments, etc than regular ones, unfortunately.